When most people think of the harmonica, they usually picture Ackroyd and Belushi soulin’ it up in black suits, southern fried wah-wah blues or a scene from within a jail cell at state prison. Now that’s not jazz. But, one man managed to create something unique with the harmonica that no one could ever imagine in the complex world of Be Bop. 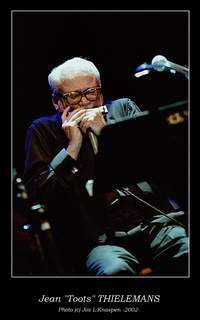 That man is Toots Thielemans. Toots’ kaleidoscopic form can take you on a dreamy ride to faraway places, be it Paris, Brazil, New York or Brussels. Wherever you choose, it stirs your soul. His Be Bop can be playful and witty, but with a beautiful ballad, his haunting harmonica can bring you to tears in a heartbeat. It is said his music is somewhere between a smile and a tear and is to the harmonica, what Segovia’s music is to the violin. Incredibly, no one can reinvent the masterpiece of Be Bop played on harmonica. It belongs to Toots alone. All others are mere reproductions. “To try to duplicate a Charlie Parker piece verbatim, you cannot do it,” says Toots. “The phrasing of the instrument is difficult. Like C followed by D, you cannot bind them. You hear the break between each note,” Toots says. “You have to absorb all the notes mentally, then squeeze them and put them into a harmonica blender and see what comes out,” he laughs. You need only hear Toots speak to understand why his harmonic timbre is so stirring. It is the sweetness, the tenderness of the spoken man that translates his deepness, his fullness for life into a weeping sorrowful melody, a warm Bossa or a sassy Be Bop piece. As early as age three, Toots showed his love of music by playing a homemade accordion in his parents’ pub. Larry Adler’s pop harmonica was the inspiration that made Toots start to play the harmonica at age 17. Toots’ dream was to become a mathematician, but fortunately for us, that dream changed during the German occupation of Belgium. Toots and his family fled to France, until it too became occupied. He returned to Belgium in 1941 at the age of 18. Musicians told Toots to throw away the harmonica and play a “real” instrument if he wanted to be a good jazz musician. Listening to British radio broadcasts of the swing big bands, he was enthralled by the intensity of D´Jango Reinhart When a of his friends gave him a guitar, Toots just naturally picked it up and learned to play. 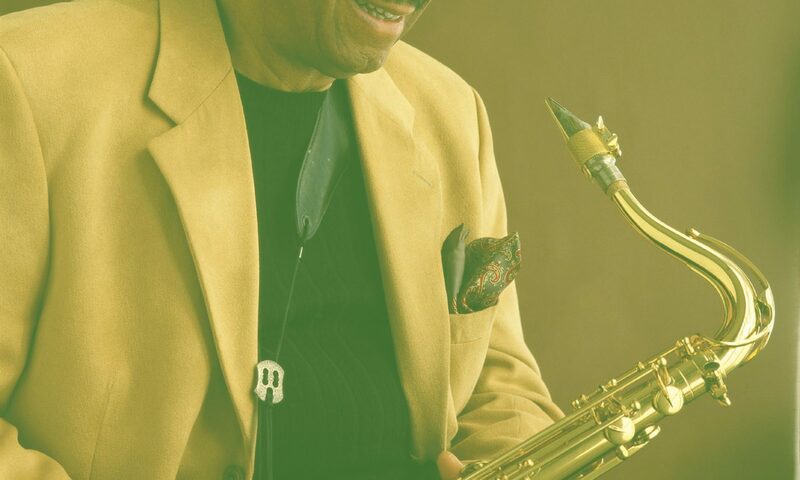 Toots said, “I never went to music school and what I learned was from the “horse’s mouth, so to speak” Many jazz legends never took any formal training. Some couldn’t even tell you in what key they were playing. Like Chet Baker, it was their passion for the art that compelled them to become self-taught geniuses of jazz. During the World War II, American music was blacked out from coming into Europe. When Toots heard Dizzy Gillespe on the radio he was not unlike many European musicians who flipped for the new Be Bop sound. Toots’ said his first Be Bop record he bought was a 78rpm with Dizzy on one side and Milt Jackson on the other. “Those were very fascinating years,” said Toots. During that time, Toots played in many American GI clubs in Europe and in 1949, he shared the bandstand with Charlie Parker at the Paris Jazz Festiv. He began to develop his own Be Bop style on the guitar, but the day he put his old harmonica to his lips and played a few Charlie Parker notes, that was it! He never put his harmonica away again. Although his original reputation was made as a guitarist, it is his harmonica and whistling that have made him a legend in his own time. Toots first came to the United States in the late forties. He met many jazz legends in New York and never missed an opportunity to play. When Benny Goodman heard Toots’ arrangement of “Stardust,” Benny asked Toots to join his tour in Europe in 1950. Toots was really on the road to success, but to further develop his art, he wanted to go back to the United States where the jazz inspiration was foremost. “I had to wait six months before I could get a steady job, he said. “I went around to all the jazz clubs. There were those Monday nights at Birdland. I got up and checked myself out,” Toots laughed. When Toots played with Charlie Parker in Philadelphia, he didn’t know that George Shearing was in the audience. As things and time would have it, in 1953 George asked Toots to join his Quintet playing guitar and harmonica. “The Shearing sound was a beautiful sound,” said Toots. “The vibraphone played the melody on top, the guitar played the same melody in unison an octave apart, and George made the block chords to make it a total sound with some very elegant harmony.” Toots left Shearing in 1959 to do his own thing. He recorded his most popular composition, “Bluesette,” in 1960. It became his signature piece and in addition to the fame it brought him, he said he considers it his social security check from the royalties it continues to receive. The piece has such wide appeal that whenever Toots performs his Bluesette in concert, everyone in the audience whistles along. Not hindered by conformity, Toots reached out to the world with his harmonica. Picture a toddler running to the television when he hears the theme from Sesame Street or the moviegoer who will always remember the haunting harmonica on the theme from Midnight Cowboy. Toots became very successful in the commercial arena and was much sought after. He was a studio pro. However, after much commercial success, Toots became disillusioned with the lack of creativity and felt he had become a fad. Toots recalled a recording session he did with keyboard/pianist Rob Franken in 1974. “I realized how jaded my ideas sounded compared to his. By then Rob had already absorbed. He was deep into Chick Correa and Herbie Hancock and what had I been doing?” Of course, Toots admits he is very self-critical, but others, even those outside the jazz scene saw Toots for the serious artist he truly was. Bill Evans heard Toots’ gift for melody and lyrical sounds. Bill said, “Toots, we must play together!” After the session was finished and Toots heard the final takes he said, “Bill, I played too much on this record. It is your record.” To that Bill replied, “What, you don’t want to play? I want people to know that you can play like that. Wait a minute, we’ll double your fee!” The pairing of Bill and Toots on the Affinity album was emotional chemistry, but Bill Evans wasn’t the only one to feel it. Mad boy bassist, Jaco Pastaurus, and Toots met at the Berlin Jazz Festival in 1979 and the chemistry ignited there too. Jaco had a fundamental logic and sense of harmony and elegance that Toots shared. They toured throughout Europe, Japan and the United States and in 1981, the release of Word of Mouth was issued. Toots traveled to Rio to record with Brazilian singer, Alese Regina. To his surprise, he found that everyone in Brazil knew his music. Toots returned to Brazil 2 decades later to record “The Brazil Project Vol. I & II.” His improvisational recording with a dozen other prominent Brazilian artists was fantastic. At a concert and celebration of Toots’ 75th birthday in Brussels, Belgium in 1998, many artists joined to pay tribute to this gentle jazzman before an audience of 8,000 people. Toots remains active and still has a busy schedule of dates throughout Europe. I had an opportunity of seeing him two months ago at a private concert given at the Genappe Country Club just outside Brussels. Filled with emotion, backstage I asked Toots if I could just give him a hug. He said he could do better than that, stood up and gave me a hug and a sweet little peck of a kiss. That’s Toots! He never misses the opportunity of making people feel he cares. The list of albums and CDs Toots has produced and play on with other artists from 1955 is impressive. Some of Toots’ best are Man Bites Harmonica, Captured Alive, Images, Live Volume II, Only Trust Your Heart, Brazil Project Volume II and Chez Toots. From toddler to jazz veteran, many have been touched by Toots’ unique gift. His brilliance continues toward the twenty-first century as a living legacy to the man in suspenders.